Welcome to this week's edition of Frugal Friday! So glad you could join me!! 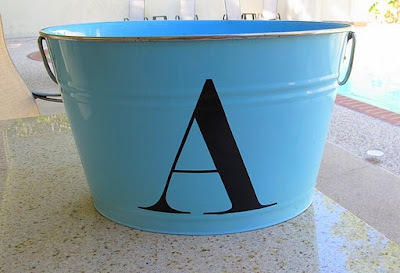 First up, last week's Fan Favorite was "DIY Vinyl Monograms WITHOUT a Machine" posted by The Exchange. What a great idea!! I just love the Union Jack Palette posted by Tres Chere. What a fun idea!! Craptastic shared her fun zebra end table. Too cute!! 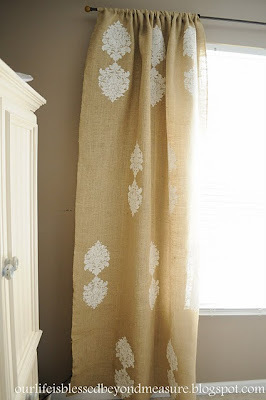 Blessed Beyond Measure shared her fabulous Ballard Knock-Off Burlap curtains. I have been admiring those curtains in the Ballard catalog, and her version is amazing! Finally, you know I can't pass up a great party so I just have to share Our Wonderfilled Life's Vintage Wheel Birthday. Such great details...ADORABLE! Thank you for allowing me to link up and hosting this great party! We all love anything frugal! Frugal Friday makes me want to attack my basement (Where all projects go to die!) projects! Thanks for hosting the party! 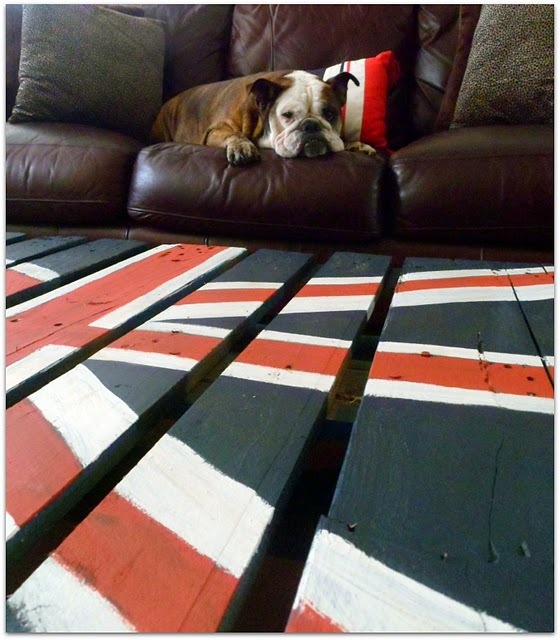 You have some fab projects linked up here already! Thanks you so much for hosting today! I love the things you've picked out to feature. Aren't they gorgeous? I'm off to visit some links! Hello Wendy...thank you for hosting another great party! Thank you SO much to all who voted for my vinyl letters without a machine as fan favorite! Wow! Thank you Wendy for hosting such a great party! Thank you again! Thank you for hosting Wendy! Hi Wendy! I haven't joined Frugal Friday in awhile (I've missed you! ), but today I linked up my fall decorations. With TWO kids in college this fall, I needed to use only what I had. I created a new wreath and a new centerpiece just from fallish-looking elements I already had. I'm pretty pleased with the results! Thanks so much for hosting. There are always so many good ideas here! Thanks so much for hosting-lots of fantastic ideas. Thanks for hosting and allowing me to link to your site. I'm new at this, and this is my first time linking to your site. Thanks again and have a great weekend! 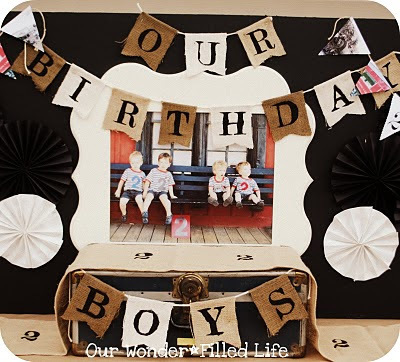 Wendy, wow thank you for choosing my boys' vintage wheels party as a favorite! Such a sweet surprise when I visited today! Loving all the features you chose and visiting other blog linked up. Have a fantastic weekend and thank you again! Thank you so much for the feature Wendy!! I love all of them! I just added a link and tried to add your button to my page with no luck so far. I will try again tomorrow. Love your blog! Hi Wendi, thank you again for hosting this party! We've been working on the bones of the house lately so nothing exiting but I'm thrilled with the entry! After painting the door, I walked around the house and started painting all the dark brown trim white! Have a great weekend! Hey Wendy! Have a great weekend! Thanks so much for hosting! Have a wonderful Sunday! I'm new to your Blog & immediately became a new follower, because it just looks like so much fun & great inspiration. I also linked to your party. Can't wait to "dig-in!" Appreciate you for hosting this party each week, it really is so much fun, And the projects you featured are all amazing. I hope you are having a great Friday, and that your weekend is a wonderful one!